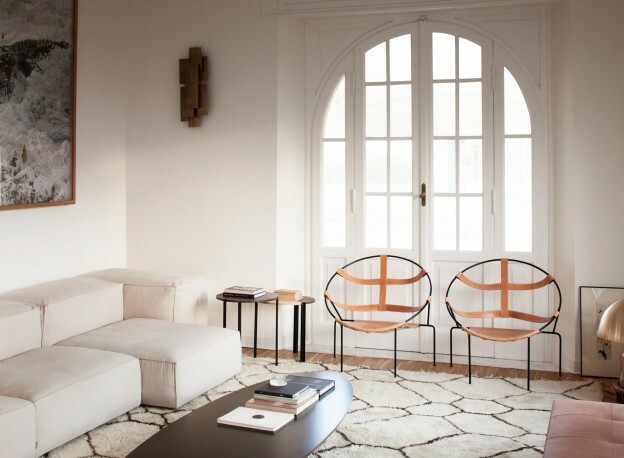 simplicity – the ultimate sophistication: an apartment in rome. | owl's house london. 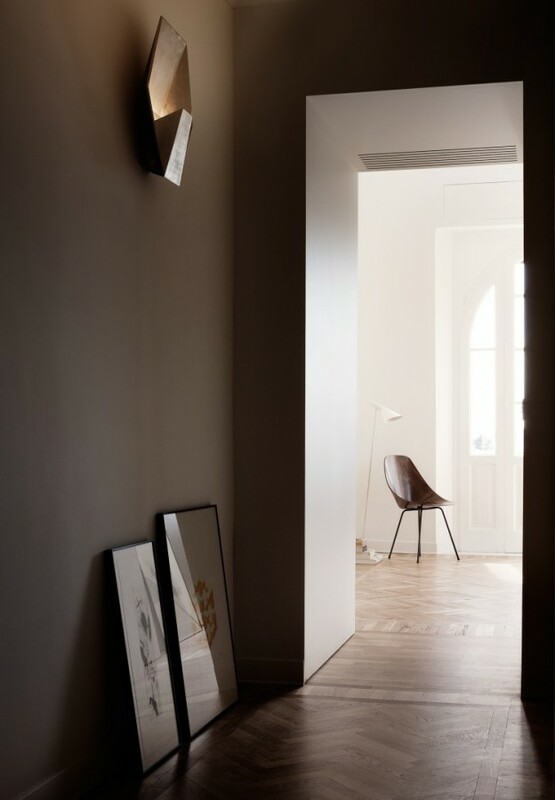 simplicity – the ultimate sophistication: an apartment in rome. 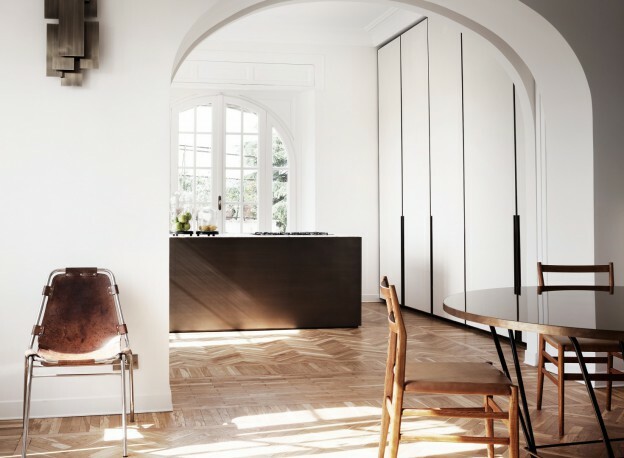 This apartment in Rome starts with strong architectural features – an intricate parquet floor, high ceilings and elegantly arched windows, framing a view towards the dome of St Peters. Because that is enough, the rest is kept simple. The arches are echoed internally, but also countered, by unembellished, rectangular openings. The palette is calm, with pale colours allowing the light to bounce and play. 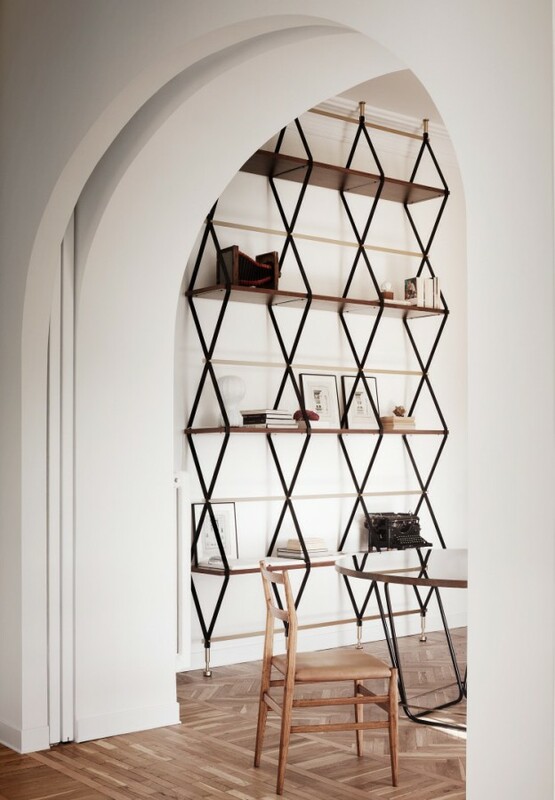 Then come the details, which transform the apartment into a sophisticated, refined space. 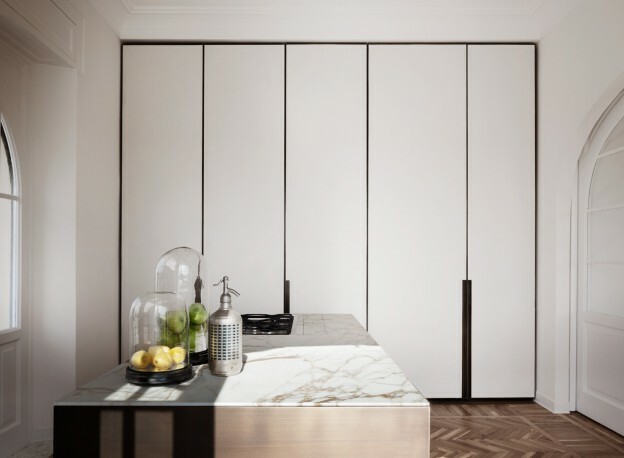 In the kitchen, an island bench in bronze contrasts with a grey-veined, white marble top; the materials mitred at the edges as if they were cast as one piece. 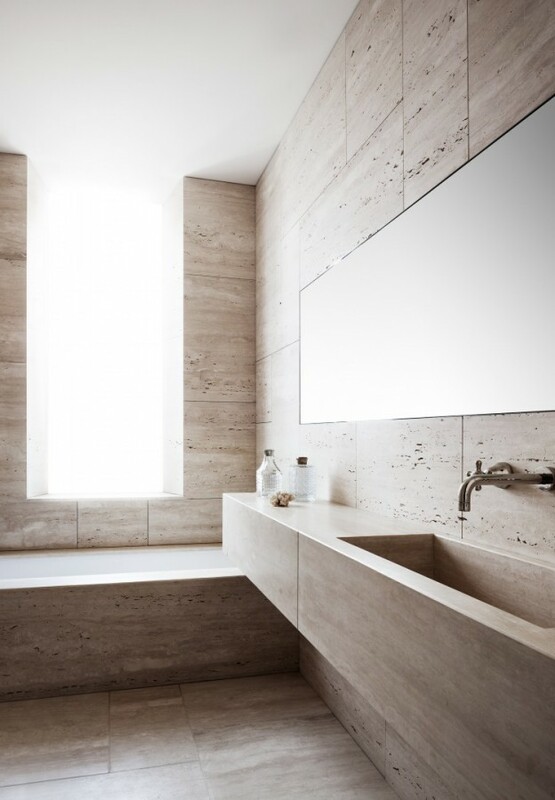 One of my favourite of stones, travertine, is used to clad the bathroom walls, with a mirror set flush with the surface, and washbasin formed out of stone. 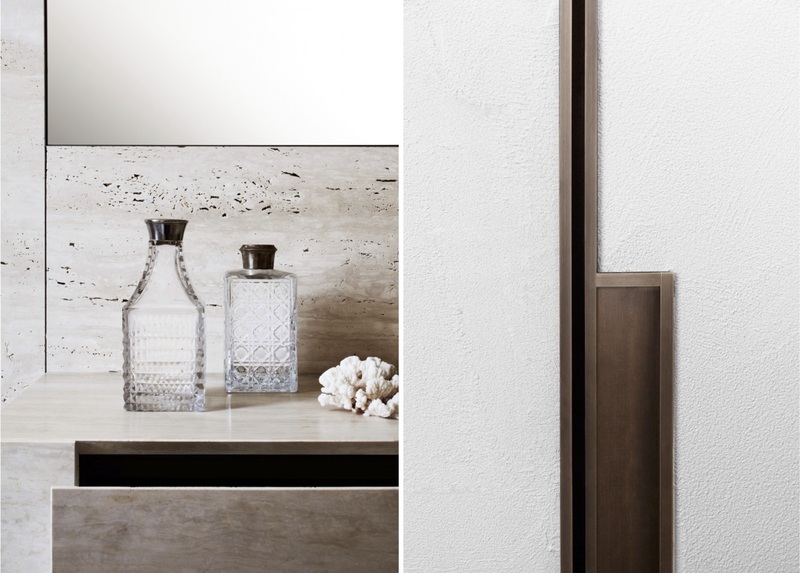 And the floor to ceiling joinery is adorned with nothing but linear, bronze inlay door handles. I love the simplicity, what about you? This entry was posted in wonderful spaces. on December 2, 2015 by owls house london.. I love the pared down bathroom that still maintains a ‘stone warmth’ within . I think simplicity is something one kind of grows into pt.. and that bathroom is lovely isn’t it? minimal but not the least sterile. great to hear from you, as always ! glad you like it, Katerina. what’s your most favourite bit?